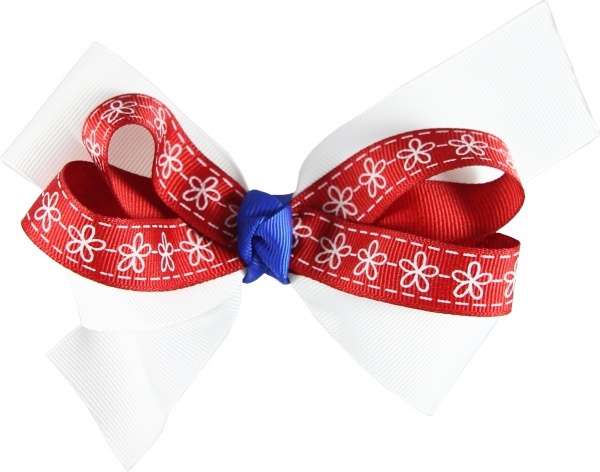 Calling all American Patriotic Bow Lovers! This is a double layered bow with a white boutique bottom, then red ribbon with white flowers and dotted lines on top. These two are attached by a blue grosgrain ribbon in a French knot. This bow will look great with your outfits on all our many Patriotic days for you to celebrate your patriotism.